The P1242T Kitchen Ensemble features a D-shaped, single-bowl design. 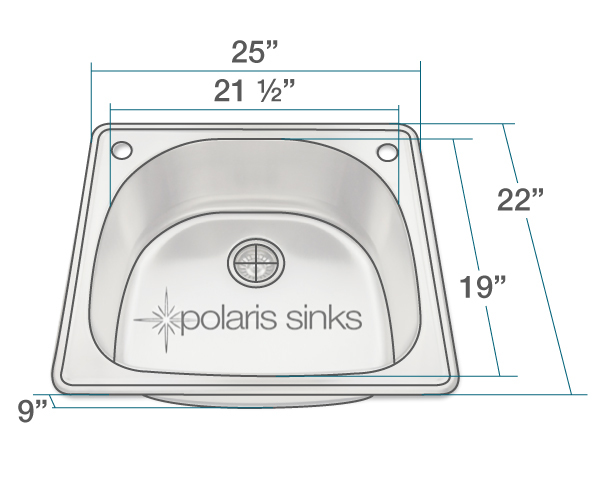 Constructed of 18-gauge, premium 304-grade steel, the topmount design provides a faucet hole at the two, top deck corners. The drain is offset to provide more work area and the brushed-satin finish is not only beautiful, but masks minor scratches that may occur over time. A raised edge along the perimeter helps keep the counter dry. 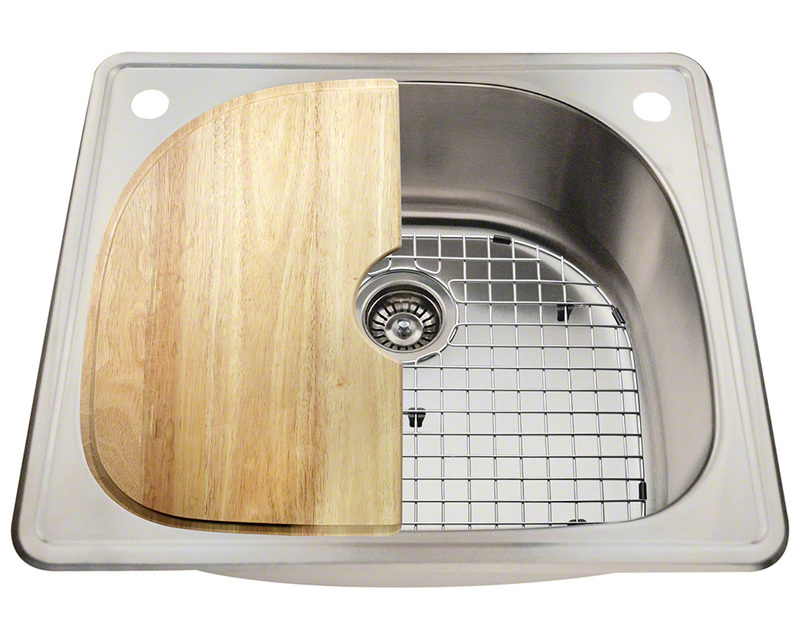 The ensemble comes complete with a standard drain, custom-fitted stainless steel grid, a genuine wood cutting board that fits perfectly over the left half of the sink, and the Polaris limited lifetime warranty.